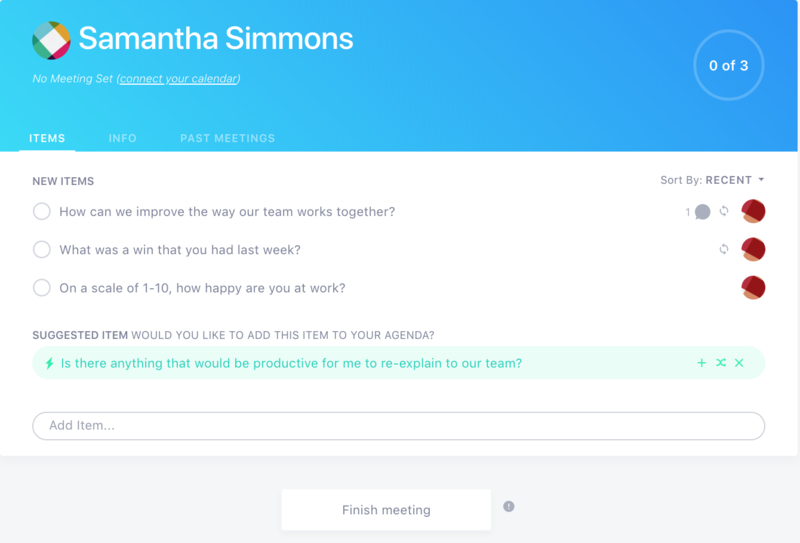 SoapBox is an app that helps managers and employees work better together by giving them a place to manage their one-on-ones, team meetings and company-wide discussions. You can create a SoapBox with Slack, Google, or add the SoapBox app to Microsoft Teams. Create meeting channels for every one-on-one and team meeting you have with your manager and/or employees. 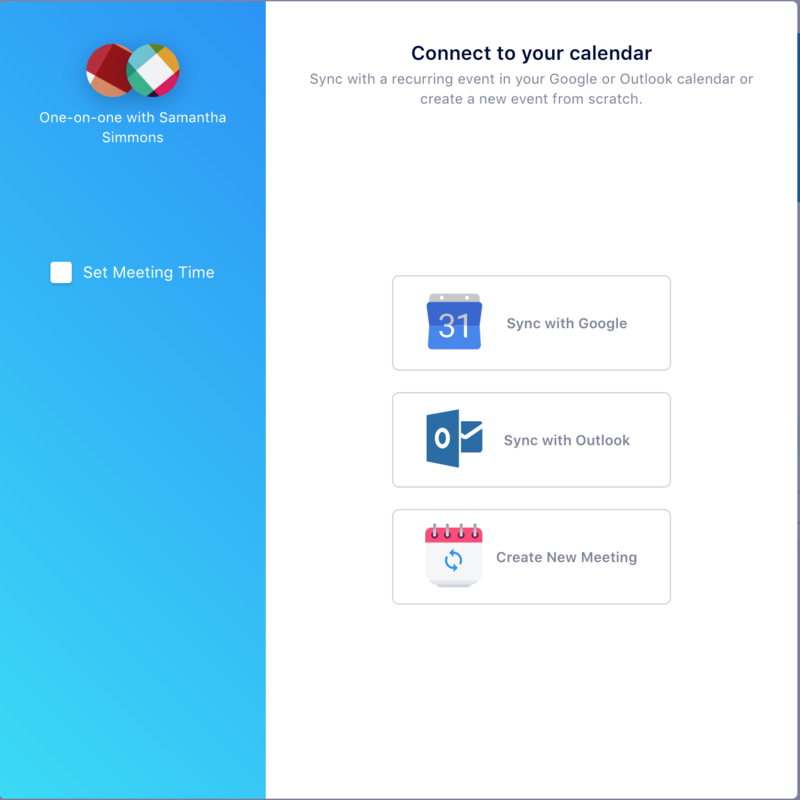 Sync your Google or Outlook calendar, or set a meeting time manually, and get reminders to prepare for your meetings. Learn more about how to Sync your calendar here. You and anyone in that meeting can add and prioritize agenda items, take notes on the items during your meeting, and summarize your conversations and next steps after your meet. Archive your meetings so you can go back later and remember what you talked about. SoapBox Discussions are a place to gather ideas, feedback and questions on a given topic from people across your company. Click here to learn more about SoapBox Discussions. 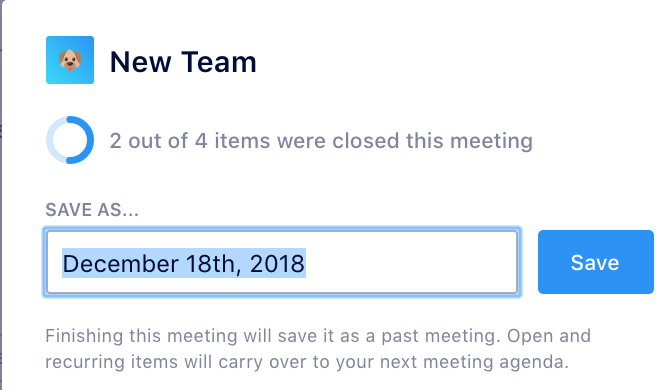 While our one-on-one and team meeting features give you a place to manage your recurring meetings, Discussions are perfect for those one-off conversations and less-frequent occasions when you want to get input from a group. Click here to see the most popular Discussion topics. Anyone you invite to a Discussion can add as many items as they’d like, vote the items up or down, and add comments. Assign next steps and set a due date so everyone in the meeting knows what work they're accountable for. Click here to learn more about Next Steps. SoapBox Discussions and Next Steps are paid features and are priced on a per-user basis. Click here to read our FAQs and learn more about pricing.